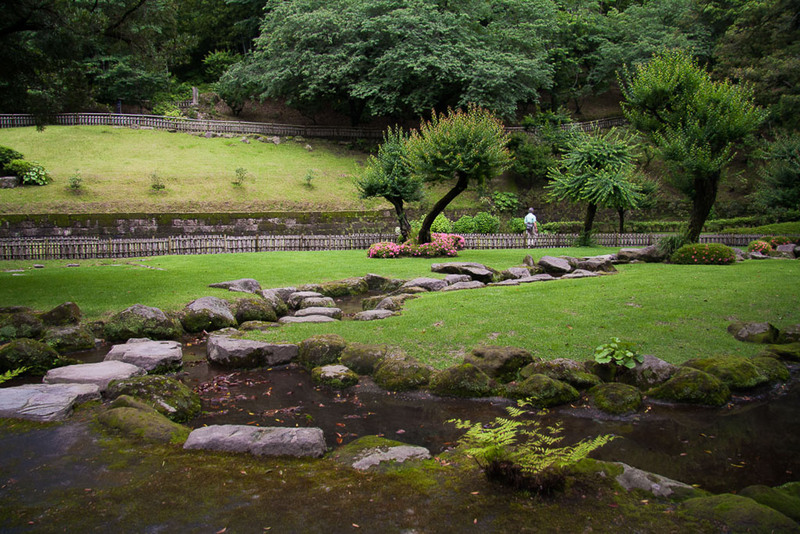 The historic garden was built in 1658 by the second lord of the Shimazu clan, and contains within it the family’s former summer villa. 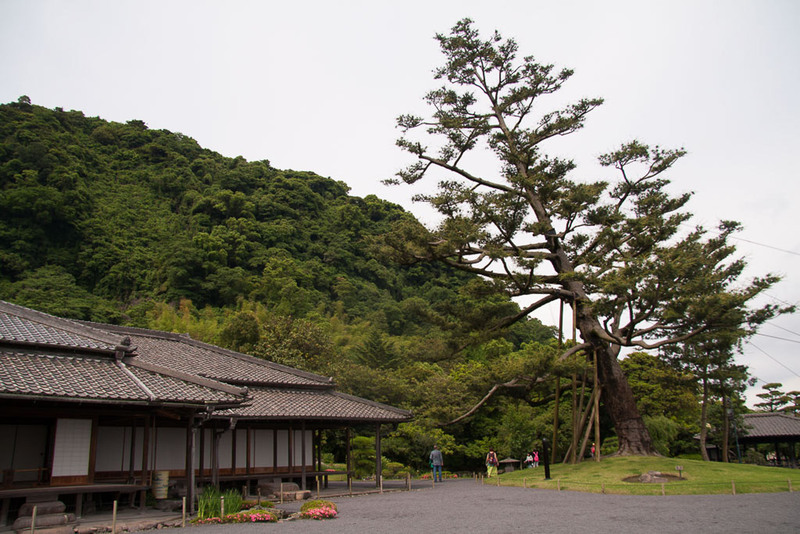 It was used to entertain guests of the daimyô and, overlooking Mt. 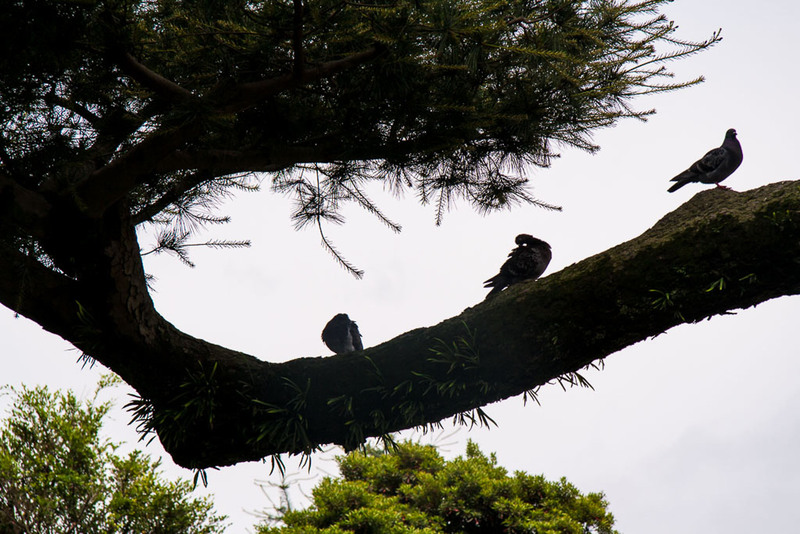 Sakurajima and Kinko Bay, often left a lasting impression on its visitors. 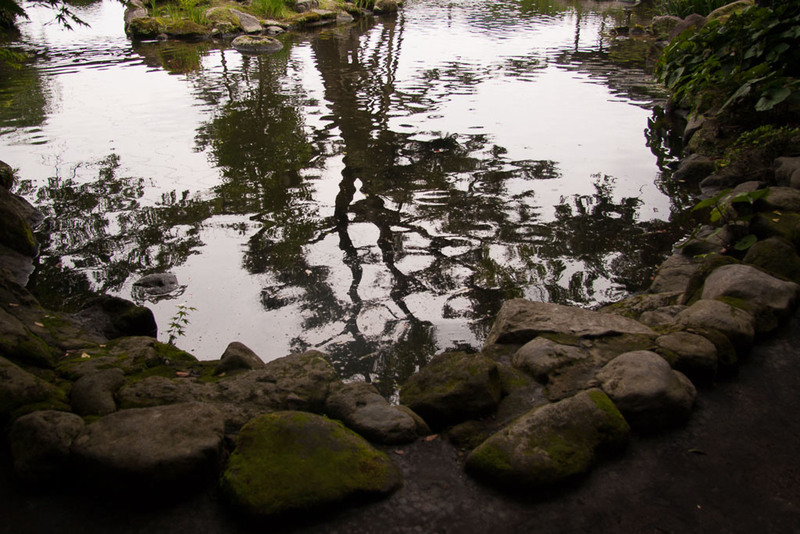 A small pond and hill are integral to the design of Japanese gardens; Senganen ‘borrows’ these elements from the ocean and volcano. 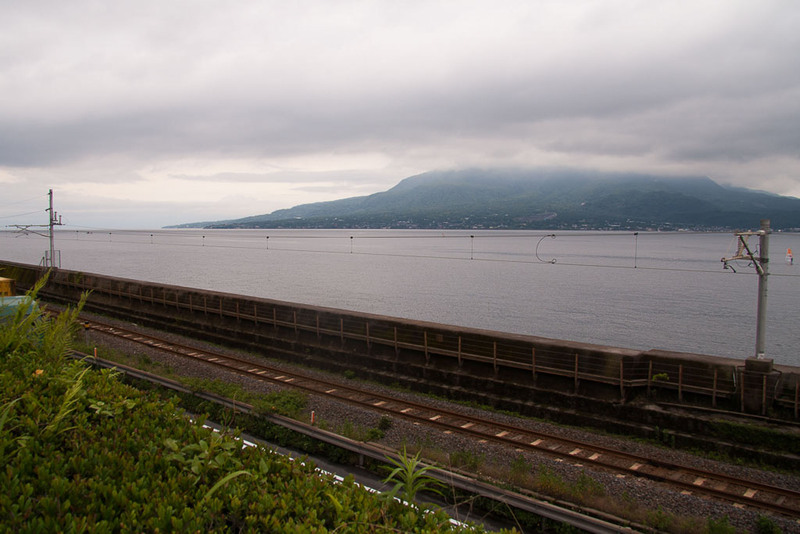 Mark and I stopped by for a visit on the way from Aira to Minamisatsuma, and although it was overcast with Sakurijima-san hiding behind a thick layer of cloud, Senganen did not disappoint. 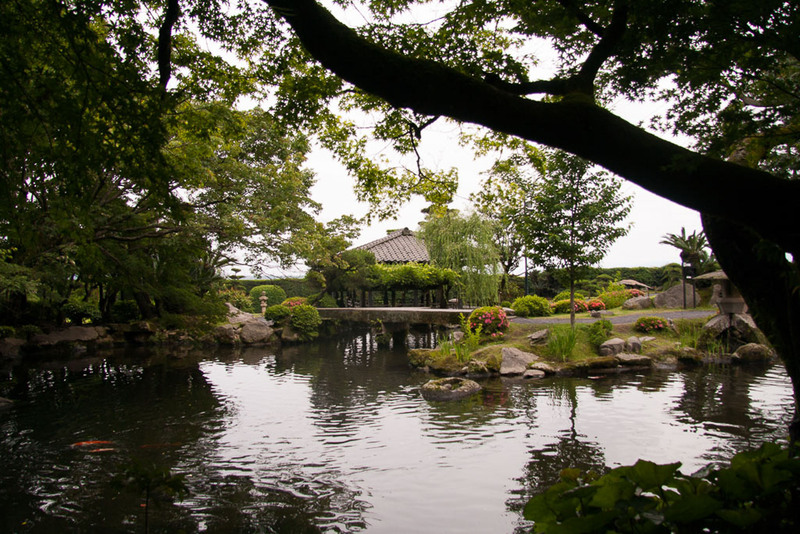 The 50 000m2 (538,195 ft2) grounds contain seasonal flowers, plum and cherry trees, and are home to Japan’s oldest kyokusui garden, once used to host Chinese poetry composition parties. 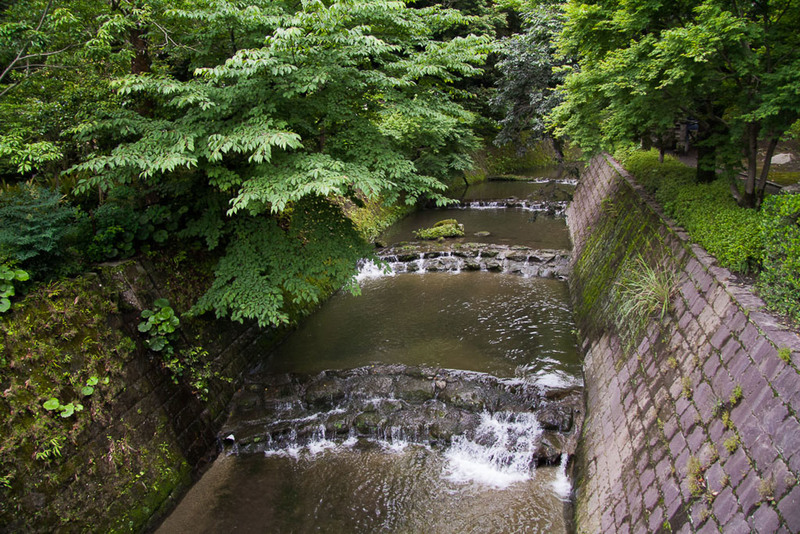 Guests banqueted along the meandering stream, where they attempted to compose poems before a floating cup of sake reached them. 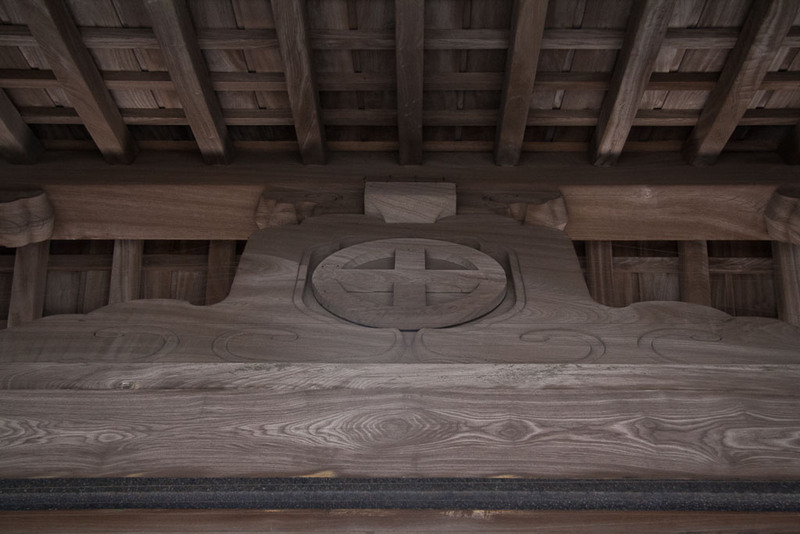 The Chinese influence was a product of Japan’s relationship with the Ryukyu Kingdom in the south, being incorporated into many aspects of the garden and villa’s design. 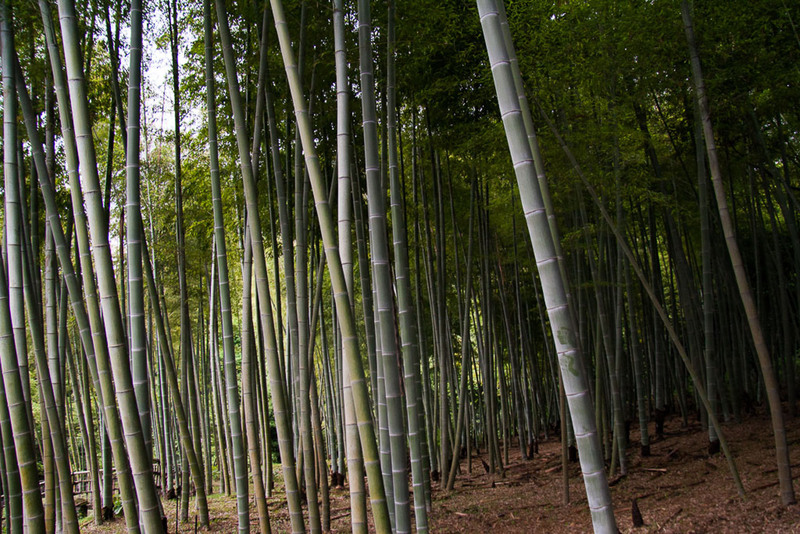 It is said that bamboo spread to the rest of Japan from the first grove planted at Senganen. 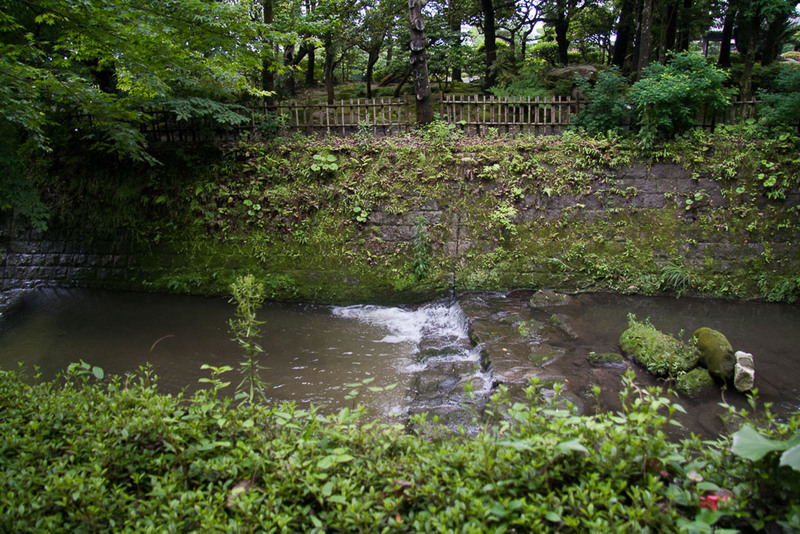 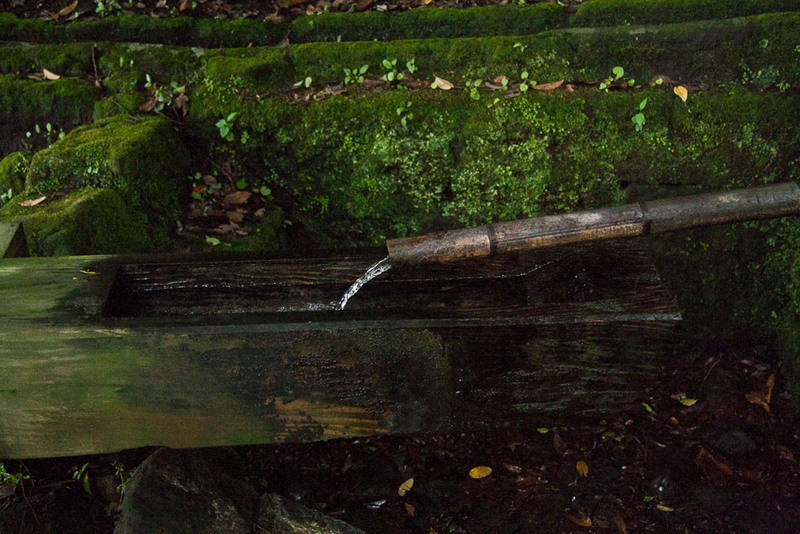 The garden also contains Meiji-period technologies, such as the hydroelectric dam which powered the villa and the factories of the nearby Shuseikan complex. 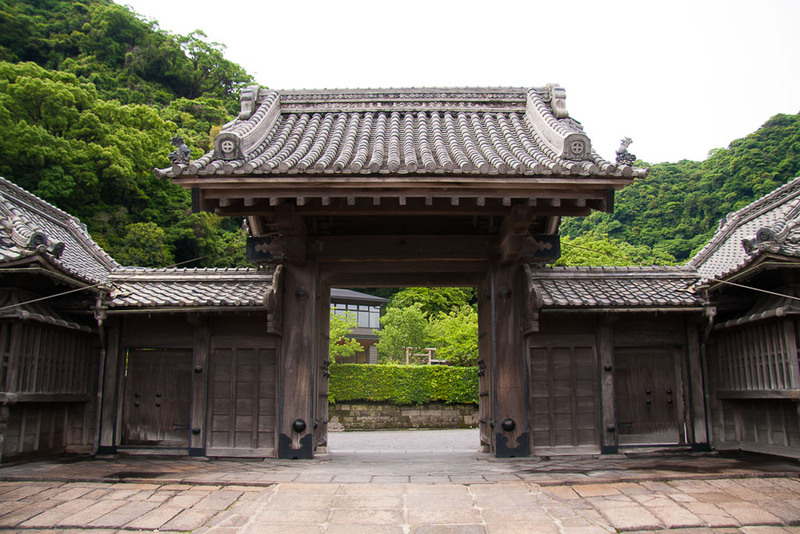 As one of the first adopters of Western science and technology, the Shimazu family continued to be influential into the modern era. 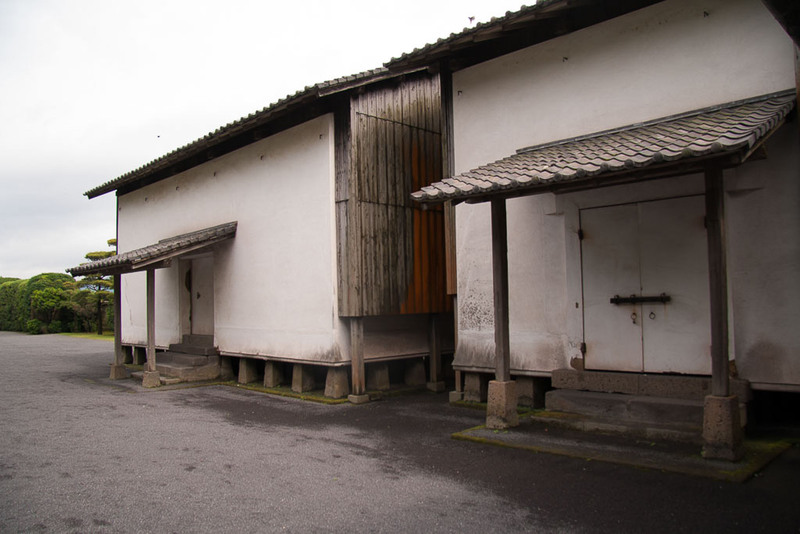 The factory complex was the largest in the East, and was the center of Japan’s modernization, producing glassware, cloth, ceramics and porcelain, and even cannons, small arms and sheet steel. 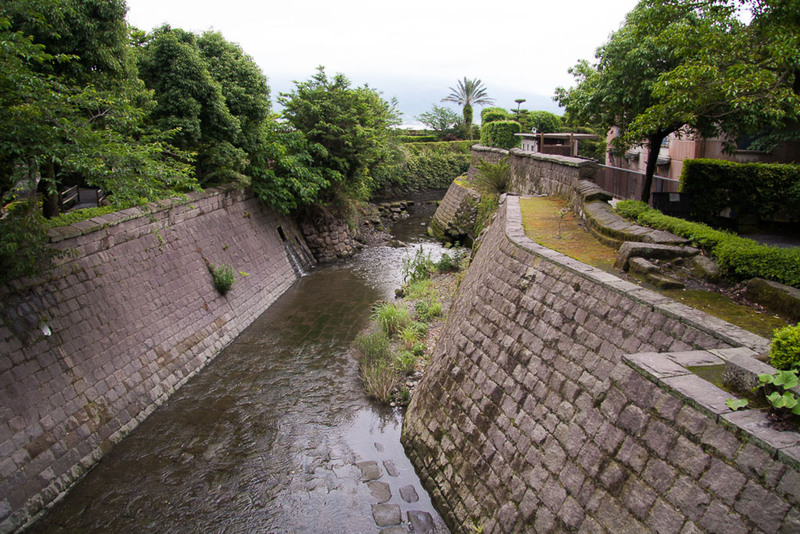 Shuseikan was attacked during the Anglo-Satsuma War, but was rebuilt by the people of Kagoshima after the death of the 28th lord of the Shimazu clan, Nariakira. 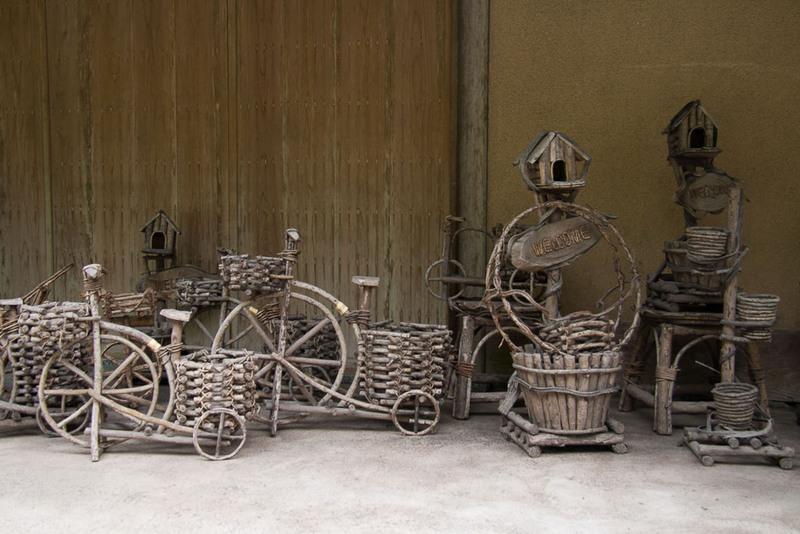 It now operates as a museum and is included in the admission ticket to the garden (1,000円). 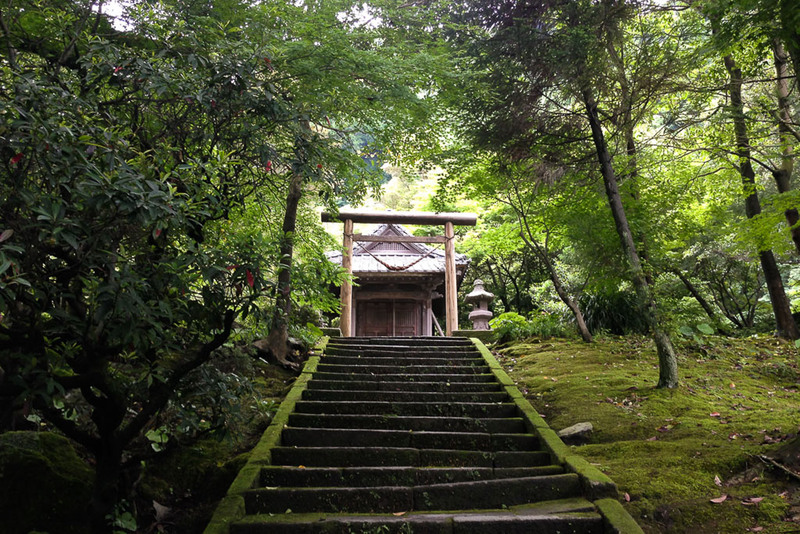 For an extra fee (600円), visitors can also tour the inside of the villa, called the Iso Residence, but since we still had a bit of road to cover, we decided to skip that and just wander around the garden instead. 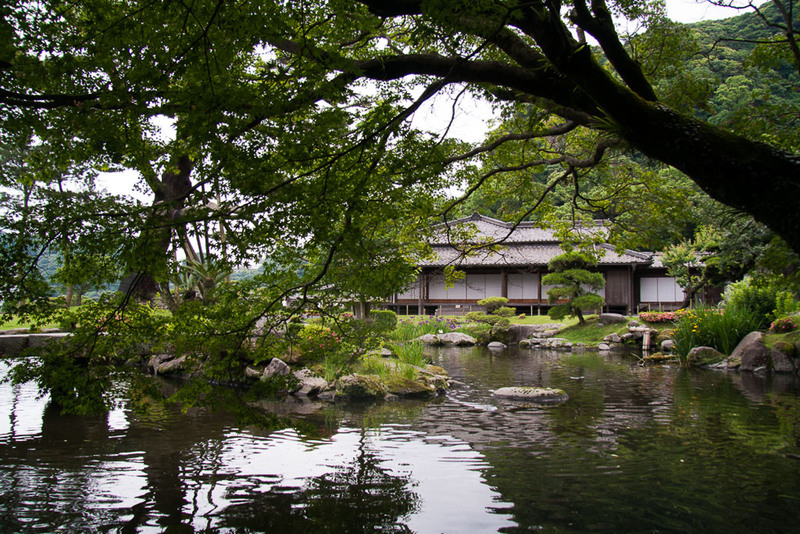 A testament to its beauty and historical value, the garden was used extensively in the filming of NHK’s 2008 Taiga Drama, Atsuhime. 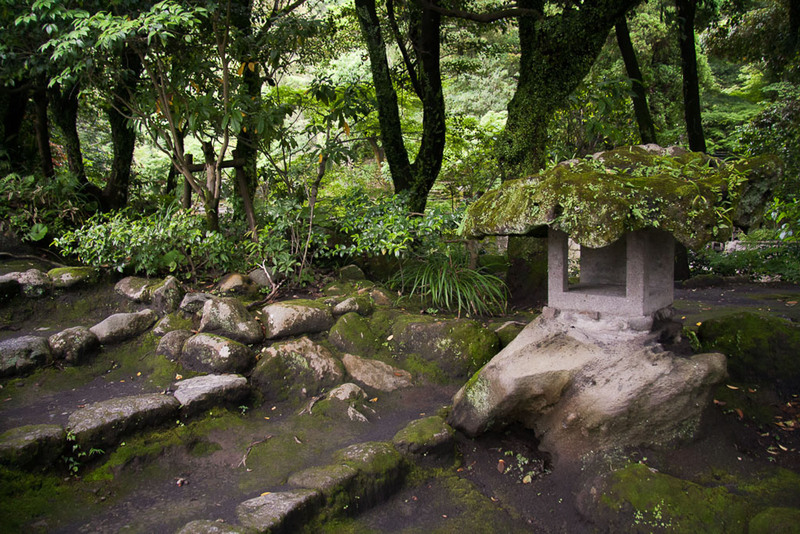 The different locations are marked with signs and contain photographs from the set. 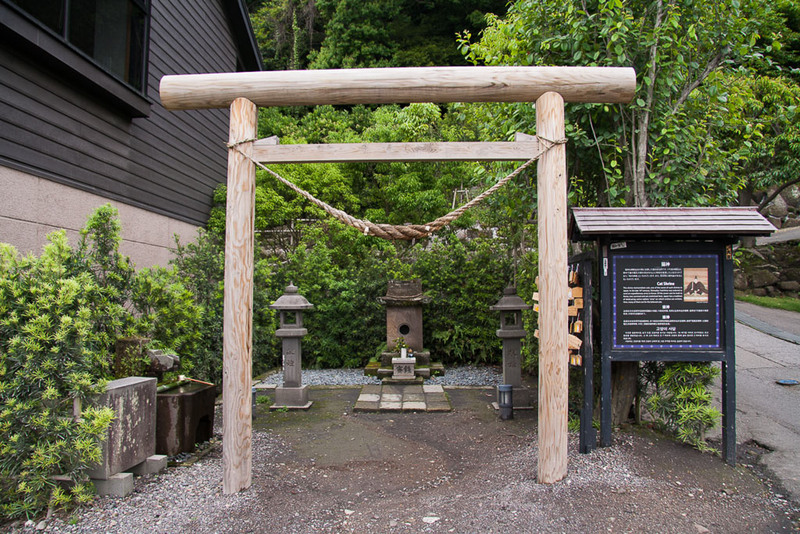 There is also Nekogami Jinja, a shrine dedicated to cats. 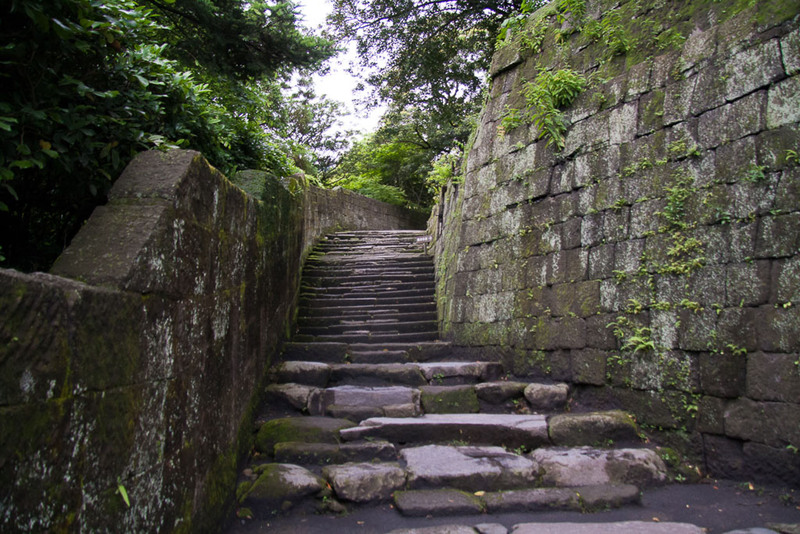 In the late 16th century, Yoshihiro Shimazu, the son of the 15th lord of the clan, was ordered to send a expeditionary army to Korea. 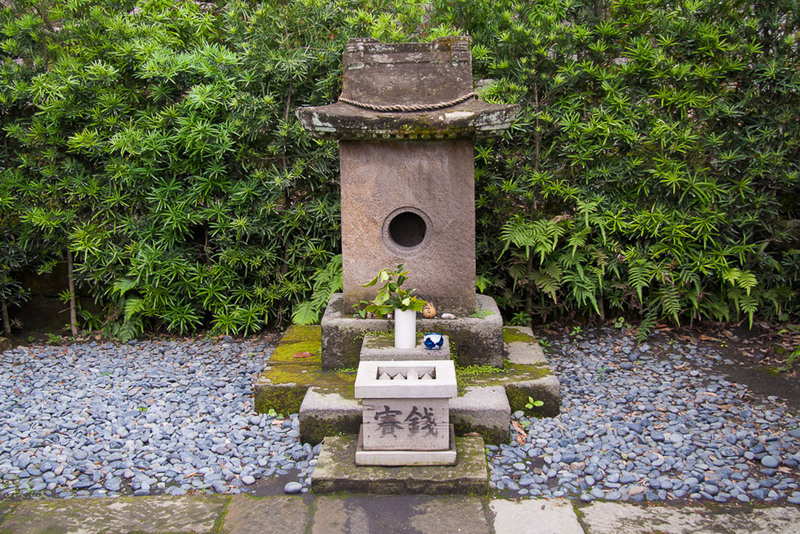 Of the 7 cats he took with him, only 2 survived and they are enshrined there. 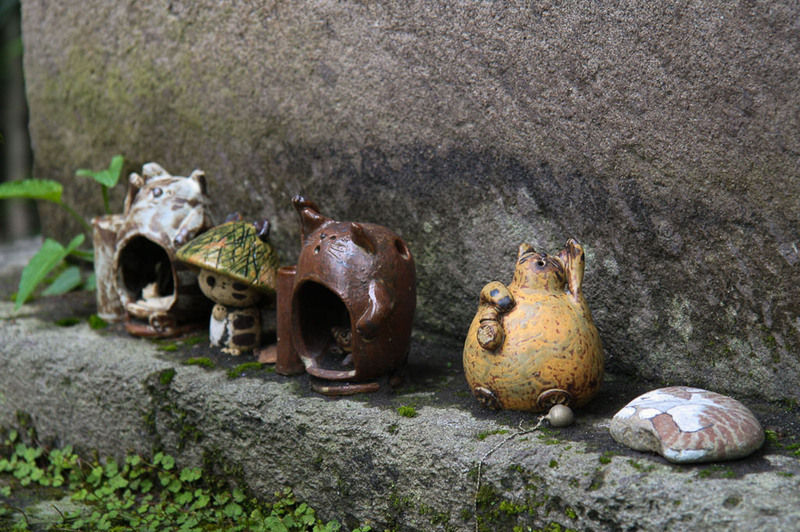 Nekogami Jinja has a tori gate, stone shrine and a cleansing fountain like other shrines – only everything is in miniature. 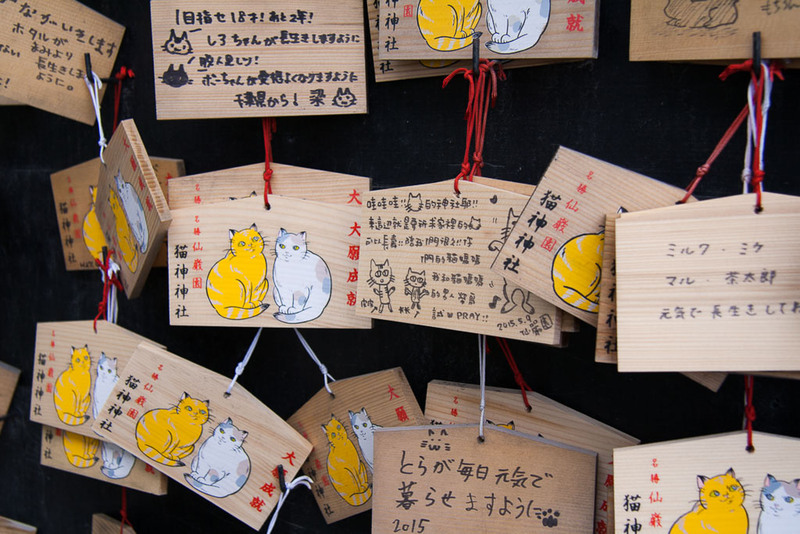 Visitors leave well wishes for their beloved felines on the ema plaques. 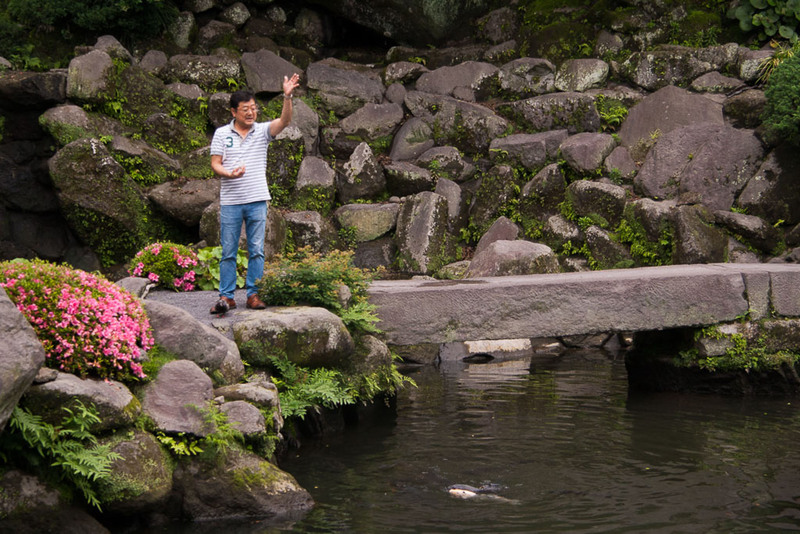 After browsing the gift shops and indulging in some sweet potato ice cream – a speciality of the region – we got back on the road and made our way to Minamisatsuma.